Many people (both patients and the people around them) associate cancer with hair loss. This may be the first outward sign that something isn't quite right. 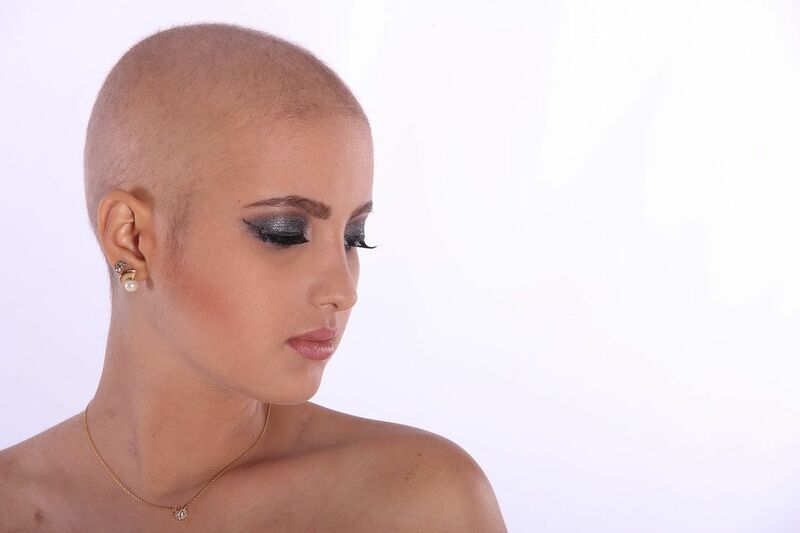 Prior to your own diagnosis, you may have seen other women who have lost their hair while they were having chemo. The fact that you may be missing all or part of at least one breast is yet another piece of the cancer puzzle. Until you've been through it, you don't know what it will be like and how you will react to it. And there is no right or wrong way to deal with cancer. Everyone is unique just as the experiences associated with cancer are unique. What works for one person may not work for someone else. Hopefully, with a range of resources, you can find the answers that you need. What Internet sites should I use, if I decide to go there? You may think big, but take small steps when collecting information. Many women stop using the internet once the fear it introduces is greater than the need to find answers. I was one of those women. Now that I am considered a survivor, I am less afraid (some fear still exists) to go on the Internet and I have come across sites I would have found useful during the diagnosis and treatment stages of my journey. No one gave me a list, so I am hoping that if I provide you with a series of links, you can go to a link, return to this site, and then go to another link. This should reduce the odds that you will find something you really don't want to see. Use these links and you don't have to do a search and risk accessing and seeing information that you don't want to see. These are trusted sites, so you know that the information you see is accurate. Canadian Cancer Society: information about all types of cancer, including the ability to download booklets as you need them. Facebook Groups (Breast Cancer Straight Talk Support, After Breast Cancer - Support The Girls!, Breast Cancer Slayers & Survivors!, Breast Cancer Survivor). These are closed groups that are meant for women who have or have had breast cancer. Caringbridge.com is where you can share information and status reports with family and friends. What other resources are good? There are a lot of books out there, so if you have read any good ones that helped you with your cancer experience, please let me know. If you haven't read my book, When Cancer Takes Flight, please check it out. Make this site even better by going to my Contact page and telling me which resources you've used and found helpful. I will add them to this site and others will benefit from your experience.